It is crucial to fully understand your many options for foraminal stenosis treatment before choosing the best course of action to care for your suspected source of pinched nerve-related back, neck or sciatica pain. Neuroforaminal stenosis is a diagnosis which means that one of the spinal nerve root egress openings in between the vertebral bones is partially or completely closed off due to some structural issue in the spine. 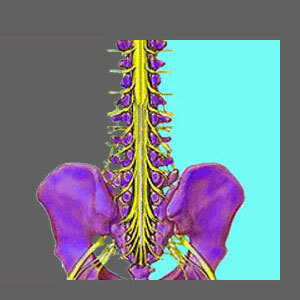 This process would not be any concern at all if it were not for the simple fact that the spinal nerve roots exit through these very same openings and when the nerve does not have room to pass unobstructed, symptoms may occur. It must be mentioned right away that the process of foraminal narrowing is completely normal and expected, with the highest concentration of these events occurring in the mid to low cervical and mid to low lumbar levels of the vertebral column. It should also be made abundantly clear that even with dramatically narrowed foramen, the nerve may still be able to exit without suffering any compression at all. 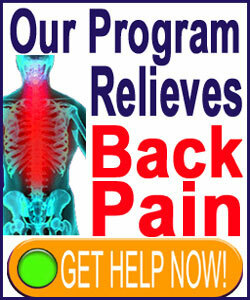 This is why it is so crucial to seek qualified evaluation from a specialist in spinal neurology. This guide assists patient in navigating the often confusing sector of foraminal stenosis therapy. Just because a foraminal space is decreased in size does not mean that any treatment will be necessary. Even when a structure, such as an osteophyte or herniated disc, is close to an exiting nerve root does not mean treatment will be indicated. In fact, even when a nerve is touched or displaced by a structural concern, treatment is still not likely to be warranted. The only time when treatment for foraminal stenosis is almost a given is when the exiting nerve root is definitively compressed. Compressive neuropathy conditions, commonly called pinched nerves, will cause the nerve to become unable to signal properly. This might enact sensory or motor deficits in the body, or a combination of both consequences. When neurological correlation pronounces that a pinched nerve does indeed exist, then therapy is indicated and should be investigated based on the actual cause of compression. Chiropractic is a conservative approach to care which may help resolve a minority of disc pathologies implicated in compressing nerve tissue within the neuroforamen. Spinal decompression might provide a lasting cure from some varieties of herniated and degenerated discs, as well as a few types of spinal arthritis which can narrow the foraminal openings. Neuroforaminal stenosis surgery is the usual path of care for true compressive neuropathies. Disc-related procedures suffer the worst permanent curative results, while instances of definitive arthritic buildup around the foramen enjoy some of the best curative statistics. Surgeries used to treat more severe forms of foraminal stenosis, such as cases enacted by scoliosis, lordosis, kyphosis and spondylolisthesis, are far more complicated procedures. Usually, these operations involve spinal fusion, are chocked full of risks and feature particularly poor long-term curative results. Achieving a valid diagnosis is often the most difficult aspect of treating a pinched nerve. This is because nerves can suffer from many other affective processes besides just simple structural compression and still generate identical symptoms. Diabetic neuropathy, nerve damage, infection, some diseases and regional oxygen deprivation can all mimic a pinched nerve exactly, despite no actual impingement occurring. In cases where any of these processes are the true source, a scapegoat structural condition may exist close by to take the blame. When treatment is provided towards resolving this innocent and coincidental spinal issue, the results are what one would expect: failure. Dismal failure. To this end, we suggest being absolutely certain of your diagnosis before seeking treatment, and even then, monitor your results to ensure that your diagnostic verdict will not be changed multiple times as treatment after treatment fails you, like it has for so many others. Remember, if the diagnosis is right and indicated therapy is rendered appropriately, the condition should resolve completely.